It is clear from the very beginning of the book that the character Huck comes from a background that is near the bottom of white society. His father is a drunk that has a negative impact on him as he comes and goes from his life as he pleases. Huck is very often found struggling to find a place to live and is sometimes stuck on the streets. Huck is a very independent person who resist to changes within himself and we see this through the failed attempts of Widow Douglas to try and change him. Huck has a very weak connection with the true facts of society and is often found to be skeptical of the ideas that the world passes to him. Huck is a younger man in this story and his main goal was that of helping Jim become free. Hucks childhood left him as a young rebel with his own independent way of doing things. He truly has no sense of what can be found as right and what is found to be wrong. “It was awful thoughts and awful words, but they was said. And I let them stay said; and never thought no more about reforming. I shoved the whole thing out of my head, and said I would take up wickedness again, which was in my line, being brung up to it, and the other warn’t. And for a starter I would go to work and steal Jim out of slavery again; and if I could think up anything worse, I would do that, too; because as long as I was in, and in for good, I might as well go the whole hog. (Chapter 31)” He helps a slave named Jim escape slavery and head north to freedom. The story is about their journey on the path. I truly believe that huck was set up to fail and was never truly given a chance to do anything based on his childhood and how he was brought up. He does a great job at defying these odds and making great use of his life through his sense of independence and lack of listening to the rest of society. So overall i think that Huck had a very positive effect on this story and lived up to his maximum ability. Deep Down in Huck by Jason is licensed under a Creative Commons Attribution-ShareAlike 4.0 International License. I totally agree with your point on that he comes from a lower social class. You can tell through out the book that he has troubles talking and understanding people. But Widow Douglas though out the first couple charters of the book tries to help Huck to understand the real world. She tries to discipline Huck and tries to tell him what is right and what is wrong. She has a hard time at first. But then she real gets to him before he gets taken by his father. With Huck not knowing his mother, he never really had a mom there to help him out. Because his father was not going to help him out with his drinking problems he had. Also with Huck getting physical abused by his father , he never really had a parent there for him. So it was good for Doulas to step in and save his life from going down here. I really like your post. I hope you keep posting in there near future. Jason, I think you did a nice job analyzing Huck Finn. 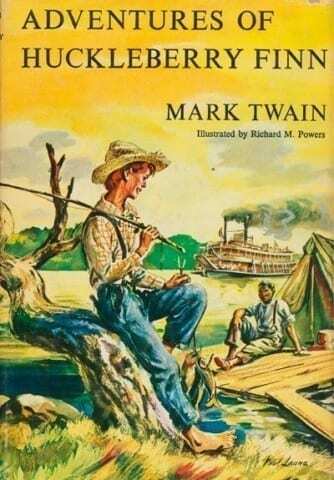 I wrote about Huck Finn for this blogging discussion, too, and I agree with you that Huck following his conscience and going against what is the law in the white society has impacted other characters in positive ways in the book. I also agree that Huck is often confused, because he is struggling to do what is really right. But, he later realizes that he would have felt worse for doing the right thing and turning Jim in than he does for not turning Jim in. I mentioned this in my post as well, and I think his decision to help Jim escape slavery is a big step for Huck to go against the norm of the society in which he has been raised. Do you think this decision is a milestone in Huck’s development?